Click on the drop-down menu under OUR PRODUCTS above to see all of our products. 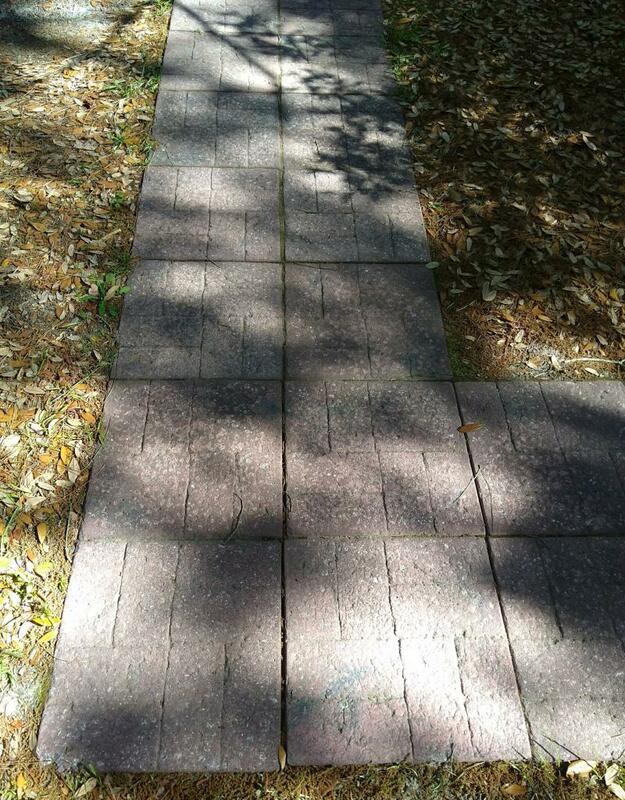 Pictured Below: Sidewalk made from the 16 x 16 Old Camden brick stepping stones in the red tint. We do not arrange shipping. However, if you would like to arrange for a truckline to pick up your order, we will be glad to shrink wrap and load it. Most items are in stock. Delivery is available on most products for an additional charge, depending on weight and mileage. We do not ship our products via truckline or UPS. Delivery prices can be quoted upon request. We encourage you to visit our sales yard, or contact us with your questions. We do not ship our products. Copyright 2011 Southern Precast Concrete. All rights reserved.